I recently did an interview with Tanya X. Short, designer and producer at Kitfox Games. 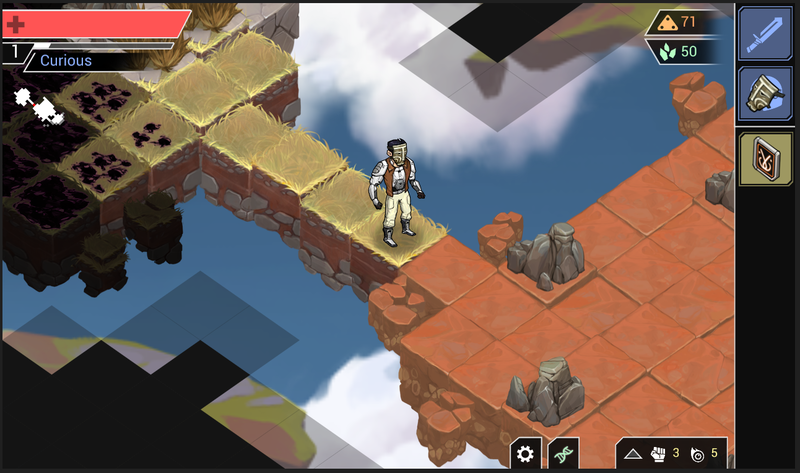 Shattered Planet is the Kitfox team’s first game, and they’re making it free-to-play. A survival adventure on a dangerous world, searching for the cure for an all-devouring darkness. A world lies broken after an ancient war, yet a faint signal comes from deep within the core, promising relief from the Blight disease. The Galactic Union has sent their top scientist to investigate — and he sends you! 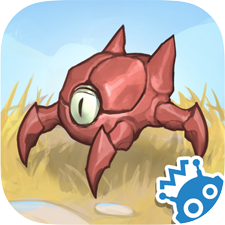 Shattered Planet is a free-to-play survival-exploration role-playing game for tablet and PC, set in a futurist world. The game is a classic turn-based, randomized RPG, with endlessly generated content and dozens of differently powerful items to find. The plot isn’t a very important part of the game, but it does give you a reason for being in the world and a motivation to get to the end of the story/mission mode. I also enjoy the sense of humor the game has; it doesn’t take itself too seriously in anything, be it weapon descriptions or advice from the leader of your mission. I quite like the style of the graphics – they’ve got the sharp outlines of a cartoon but look fairly realistic. The monsters are all unique, and I know there are a TON I haven’t even discovered yet. My favorite is a crazy-looking pony…thing. Character models are diverse – you can be a man or woman with quite a bit of racial diversity represented. The animations are smooth and non-glitchy. There is no voice acting, but all the sounds fit in well with the setting (when you get to your spaceships, the blips and beeps are perfect, as are monster noises). There isn’t a lot of music, but what is there sounds good and isn’t annoying or repetitive. There are two modes of gameplay: story mode, which is called Mission: The Signal, and survival mode. In story mode, you’re trying to figure out what’s up with the Blight by finding a mysterious signal. At the end, you’re rewarded with 200 crystals (more on those later). In survival mode, your mission is to get as far as possible. You get three crystals per distance traveled after three jumps. Survival mode keeps track of two records: your distance traveled and your scrap collected. There are two kinds of in-game currencey: scrap metal and crystals. Scrap metal is found both randomly scattered on the ground throughout levels and by defeating monsters. You use scrap metal to level up your clone in three areas: strength (attack speed), wit (ability to evade attacks), and health. Crystals are what you use to spend on items. You can’t pick these items, as they are randomly generated by your spaceship. Instead, five crystals gets you okay-quality equipment, ten gets you good-quality equipment, and twenty gets you awesome-quality equipment. You can also buy consumables like potions from a robot for less than five crystals. The important thing about these crystals is that even though they represent the game’s in-app purchases, you are able to earn them in-game quickly and fairly easily (depending on skill). There are crystal blocks to destroy on the maps, and you get crystals in both game modes. Gameplay, no matter your mode, consists of exploring a map thoroughly, picking up stuff, finding monsters, finding keys to unlock doors, and getting to the teleporter which will send you one more distance. The environment is quite hostile, and the game operates on roguelike principles. However, no matter how many times you die, your stats will never go down – you can keep upgrading yourself with no consequences. You do lose your equipment when you die, however, so it does pay to be cautious. You can also fill out the codex, which provides information on locations, enemies, events, companions, weapons, armor, consumables, and guns. Again, I was never compelled to shell out real money, and I think this is one of the very few games that you could successfully play indefinitely without hitting a pay wall. I’m really excited to play the finished Shattered Planet, and think this is how all FTP games should be constructed. Exploring was really fun, no matter how many times I made my poor clones die. Check out the official site and follow the team on Facebook and Twitter. The game is currently in development for release in March 2014. It will be free-to-play on Android, iOS, and Windows/Mac.